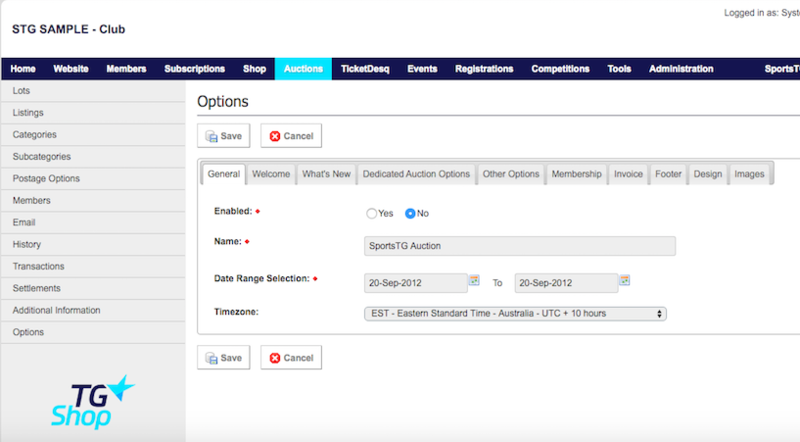 To get your Auctions running you will need to complete your Auctions General Options page. To do this follow these steps by selecting Auction, then Option and then Edit then General. See image below. Ensure that Enabled is ticked to "YES"
Select Date Range Selection to the day you are setting it up to one years time. Ensure Timezone is correct to the location you live in.